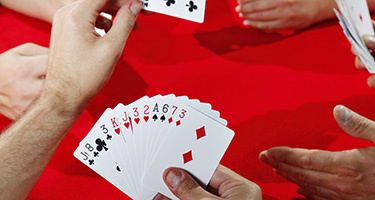 Join the friendliest online bridge club where you play with people that match your skill level, 24 hours a day, 7 days a week. Experience the most advanced game play like continuous duplicate, Barometer, and Swiss movement. Enjoy a variety of bridge options including rubber, duplicate and team formats. Play in tournaments run by professional Tournament Directors. Earn Masterpoints in daily tournaments sanctioned by the ACBL. Experience unique tournament formats where skill, performance and speed are matched each round with OKbridge’s ProgressivePlay© algorithm. Advance your skill level, improve partnership compatibility and opponent selection with OKbridge’s unique Lehman player rating system. Kibitz the pros to improve your game. Review hand records and compare boards with other players. Play with confidence in an ad free moderated site. Unlimited games for one low price. For as little as 42 cents per day, compete in ACBL sanctioned Masterpoint tournaments! Daily OKbridge speedball mini tournaments.